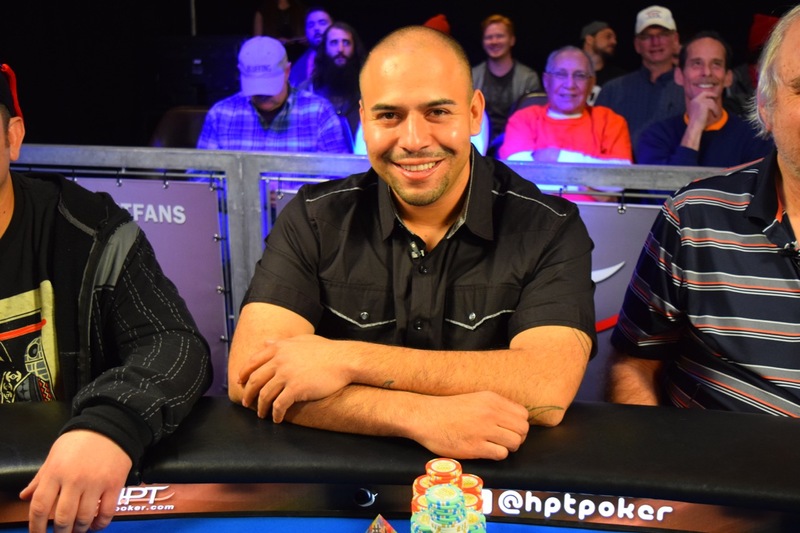 Danny Gonzales definitely knows his way around the HPT Final Table at Golden Gates in Blackhawk, as this is the third time in a row he has final tabled here. Gonzales was 5th here last September for $46,634. That was his second HPT FT at Blackhawk, as he also final tabled in February 2015, finishing 7th for $31,211. This is not the only place Gonzales has final-tabled an HPT event, as he was the runner-up in Fresno in October 2014, cashing for $48,888. Three weeks before that he was 27th here at Blackhawk for a $6,656 cash. In Sept. 2013, Gonzales was 35th at Blackhawk for a $3,339 cash, and he final tabled Blackhawk in February 2013, taking 6th for $35,932. He also has a 15th at Blackhawk in 2012 ($13,418) and a 24th in 2010 for $3,401.